Outstanding early-summer stalks of color! Showy stalks of up to 4' tall are covered in bell-shaped florets in a mix of bright colors. Provides a dramatic effect against fences or along walls. Lovely in early-summer borders. Hummingbirds can't resist them. Digitalis purpurea. PruningRemove spent flowers to encourage reblooming. 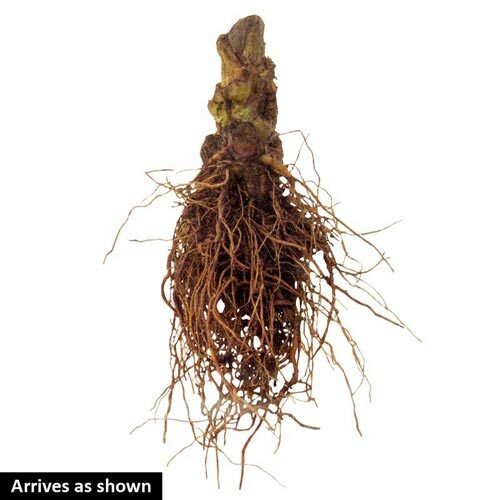 The foxglove will self-seed if spent flowers are not removed. 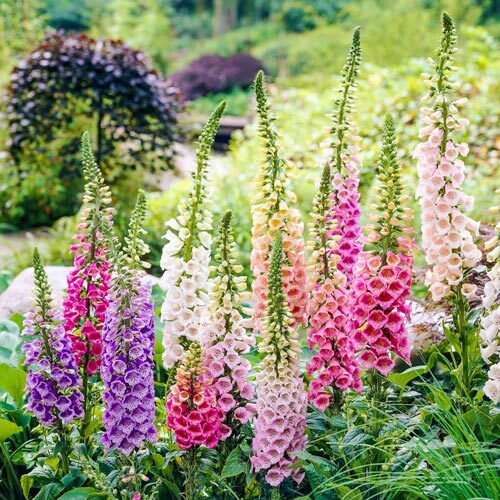 Additional InformationThe foxglove is highly toxic. Do not ingest.